Although it actually debuted at the Mini United Festival at Silverstone late last month, the special edition Mini Cooper John Cooper Works World Championship 50 (good luck getting all of that script on the hatch lid, gents) has finally received a full slate of details and press images. The special edition was designed to celebrate the 50th anniversary of the start of the Mini's motorsports successes, as well as John Cooper's victory in the F1 Drivers' and Constructors' Championship with Jack Brabham manning the controls. Limited to just 250 examples, the MCJCWWC50 features the standard JCW's 211-hp turbo four, along with a full slate of celebratory garnishes inside and out. 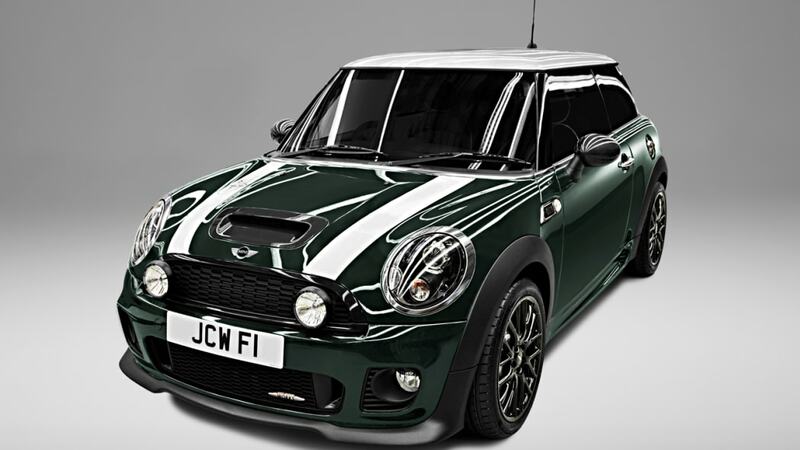 Available exclusively in Connaught Green (a new color for Mini), all examples receive Pepper White stripes down the hood and roof, a color scheme designed to invoke the livery of Cooper F1 cars. There are also cross-spoke Challenge alloy wheels finished in black, a bunch of carbon-fiber bits (hood scoop, rear diffuser, mirror caps, tailgate handle) and special numbering. The model was designed in conjunction with John Cooper's son, "John" Michael Cooper, whose signature appears on the hood stripe and on a special fascia plate. Inside, there's carbon black leather with red piping and stitching throughout, along with more carbon fiber bits (fascia, door handles), an Alcantara steering wheel, and a six-speed manual gearbox – no torque converters allowed in this celebration. All-in, this looks like a tidy package not just for collectors, but enthusiasts as well. No word yet on how much this limited-edition hatchback will cost, but if Mini's current pricing stratagem is anything to go by... it won't be cheap. Winning type: the MINI John Cooper Works World Championship 50. 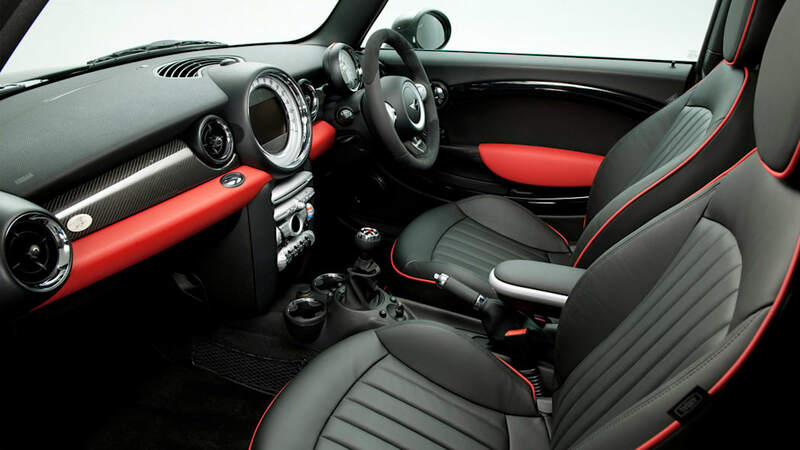 Limited MINI special edition evokes the birth of the brand and John Cooper's Formula One title victory 50 years ago. Munich. Both were revolutionary and triumphant: in the summer of 1959 Alec Issigonis presented his concept for a small car which, with its transverse-mounted front four-cylinder engine and space for four occupants plus luggage, was to become a byword for economy of space and driving fun. That same year, sports car constructor John Cooper won his first Formula One World Championship title with Jack Brabham at the wheel. 50 years on, the MINI John Cooper Works World Championship 50 evokes both the start of the triumphal path of the classic Mini as well as victory in the F1 Drivers' and Constructors' Championship for John Cooper's racing team. 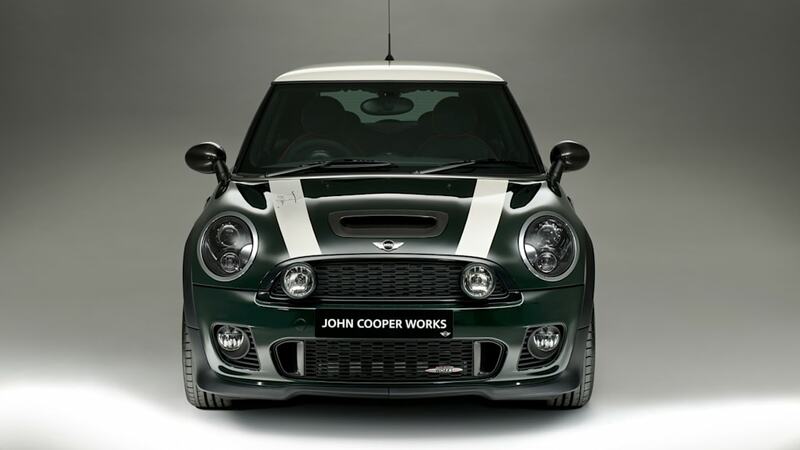 This MINI special edition was inspired by John Cooper's son, Mike. 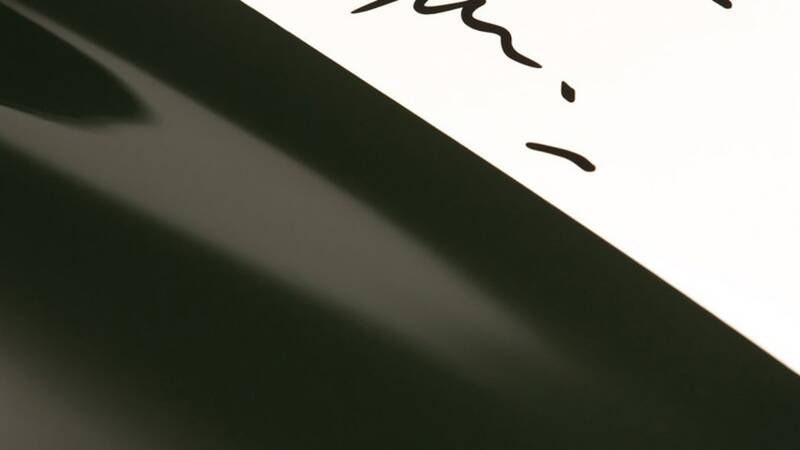 His signature appears on the facia and on one of the bonnet stripes. It will have a limited production run of 250 units and was unveiled to the public at the 2009 MINI United Festival in Silverstone. The car is based on the MINI John Cooper Works and driven by a 155 kW/211 hp four-cylinder engine with Twin-Scroll turbocharger and petrol direct injection. 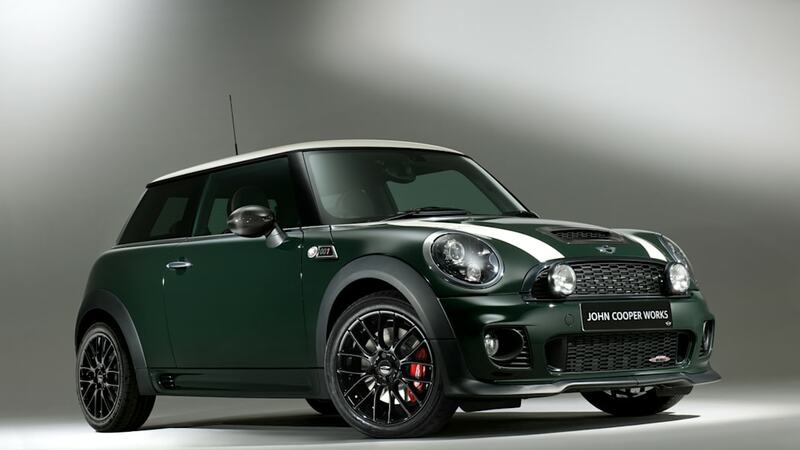 The production version of the MINI John Cooper Works World Championship 50 features numerous exterior and interior details reflecting the racing pedigree of the brand. 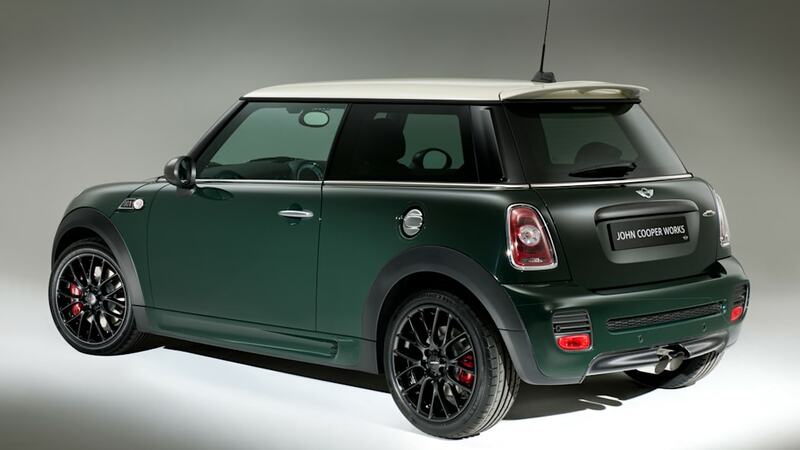 The bodywork of the MINI John Cooper Works World Championship 50 comes in a new colour for MINI, namely Connaught Green – harking back to the famous colour of British race cars of the 1950s and 60s era. It is combined with the roof and bonnet stripes in Pepper White. The green with the white bonnet stripes mirror the colour concept of the Cooper F1 cars. The specification of these colours was provided by Mike Cooper giving the car its authenticity. Mike was consulted throughout the development by the MINI Design department. Mike's full name is "John" Michael Cooper and he signs himself John Cooper. His signature appears on one bonnet stripe and on a facia plaque. Further accentuating the competitive character of the special edition are the John Cooper Works aerodynamics package and John Cooper Works Cross Spoke CHALLENGE light-alloy wheels in Jet Black. Also key to the superior performance of the MINI John Cooper Works World Championship 50 is its suspension technology, which is unique for this vehicle class. In addition to the McPherson struts on the front axle and a central-arm rear axle otherwise not found in the small car segment, electromechanical power steering (EPS) also helps guarantee safe and thrillingly precise handling. A Sport button (also standard) on the centre console activates a palpably more dynamic setting with sharper steering response and enhanced precision. In keeping with this, the Sport button also switches the accelerator pedal control map to an even sportier mode. The large sports brake system with red aluminium callipers guarantees short stopping distances. It responds with precision and brake power can be finely applied. Standard equipment also features Dynamic Stability Control (DSC) including Hill Assist, Dynamic Traction Control (DTC) and Brake Assist. With DTC switched off, furthermore, an Electronic Differential Lock Control system (also fitted as standard) is activated for the drive axle, supporting more dynamic driving when accelerating out of corners or switchbacks, for example. As a close friend and business partner of Mini creator Alec Issigonis, John Cooper paved the way for – and gave his name to – these Mini variants that were to prove so successful in the sporting arena. The man who recognised the competitive potential of the Mini early on and then systematically capitalised on it had previously already created a revolution on the world's race tracks. He was the first constructor, along with his father Charles Cooper, to field a mid-engined sports car in the Formula One World Championship. In doing so, the team set a trailblazing trend for the entire motor sport sector. In 1959 and 1960, Cooper race cars scooped up the Constructors' and Drivers' title in the Formula One World Championship – a first in racing history for mid-engined models. It was a concept that caught on: to this day, all Formula One cars are built according to this principle.